Laneige Now at Sephora! | Top Beauty Blog in the Philippines covering Makeup Reviews, Swatches, Skincare and More! Exciting news, friends! 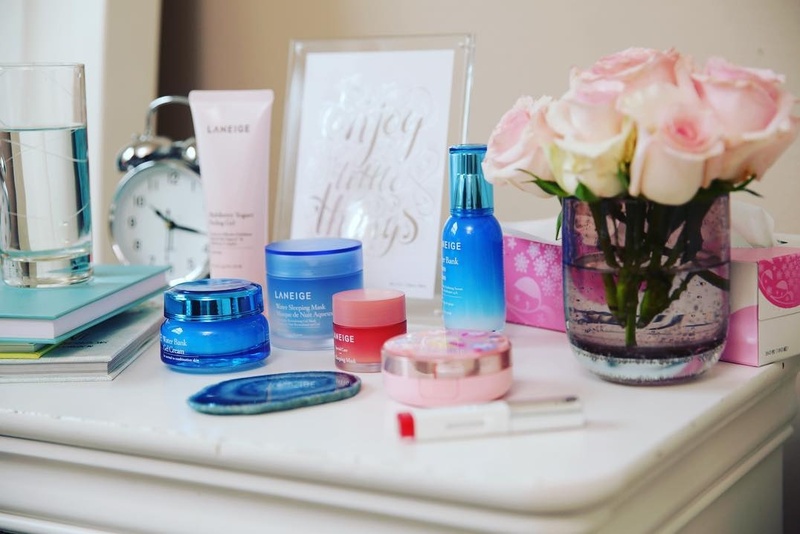 Korean brand Laneige is now available online at Sephora! Have you tried this Korean brand which of their product(s) are you interested in trying? Let me know your thoughts in the comment section. An overnight face-firmer yielding visible results, this mask is formulated with Sleep-Tight technology. Two types of polymers — shape memory and natural oat-derived — strengthen the skin barrier, while Dynamic Collagen boosts for firmer, younger-looking skin. As an added bonus, the lush Sleepscent fragrance, infused with soothing rose, ylang ylang, orange flower, and sandalwood, relaxes the senses. A cult K-Beauty favorite for creating an effortless ombré lip, this fashionable high gloss and semi-matte formula combines two makeup artist-curated shades in one sleek tube. Available in eight fun, trendy color duos, it features a custom oblique cut that delivers a youthful, fuller-looking pout and a perfect gradation with every swipe. This innovative version of LANEIGE's popular BB Cushion blurs the look of pores and imperfections for instant flawlessness. Broad spectrum SPF 50 helps protect from UVA/UVB rays, while the oil-minimizing powder imparts a semi-matte, soft-focus finish. A Pore Minisizing blend of Pine Needle and Mint Water keeps your skin looking fresh. The foundation features an exclusive Skin Fit air cushion and dense antimicrobial applicator for a thin, even layer of coverage every time. Enriched with vitamin C and antioxidants, its Berry Mix Complex offers a nutritiously sweet and fragrant blend of raspberry, strawberry, cranberry, and blueberry extracts to indulge the senses. Its exclusive Moisture Wrap technology boasts hyaluronic acid and minerals to form a protective film over the lips to lock in moisture and active ingredients. A generous layer of this soothing mask at bedtime helps reduce flakiness so you can wake up to lips that feel refreshed, supple, and soft to the touch. This gentle micellar water, stripped of six harmful ingredients (including mineral oil and synthetic colorants), gives immediate and long-term benefits. Instantly, it melts away makeup while maintaining moisture levels. Over time through an antioxidant blend of vitamins B, C, and superberry extract, it brightens and protects. I love this brand! So happy to see Laneige at Sephora! The BB cushion looks amazing - that's worth a trip to Sephora .